Festival of Books at the Puyallup Public Library: Two Big-Deal Author Appearances! I want to make sure you know about a special event coming up at the Puyallup Public Library this weekend. It’s The Puyallup Festival of Books, and while most of the events are really for big kids and grown ups, I know that I have many teacher readers, homeschooling readers, and a bunch of you who are parenting kiddos who read way above their grade level. With that in mind, I wanted to make sure you knew about the chance to meet two super famous children’s authors your young readers should know. A signed book would also make a very special Christmas gift, for those of you who plan ahead! 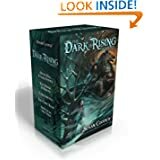 Susan Cooper is the author of the popular Over Sea Under Stone, Dark is Rising series. If your children love Narnia, or King Arthur, or Harry Potter, they would love this classic series. Her books are lovely read alouds and excellent choices for your precocious readers. Here is a link to Amazon’s Susan Cooper Page You can also find all of her books at the library. If you’d like to go to her lecture, tickets are available, and there will be a reception and book signing after. You will need to purchase a copy of her newest title at the event to get her other books signed. The other author coming is Ursula LeGuin, who will also be doing a reading and book signing. She is the author of 22 children’s books, including the popular Catwings Series and the Earthsea cycle.The Catwings series is for elementary aged children. I remember really liking them as a 3rd grader. The Earthsea cycle is often compared to the Lord of the Rings, and it’s recommended for 7th grade and up. I do think younger children with advanced reading levels would also enjoy them. If you have any thoughts on that, do leave a comment! 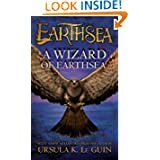 Here is Ursula Le Guin’s Amazon page .If you’re interested in the Earthsea series, do start with book one. If you’ve reading something great with your kiddos, I’d love to hear about it! Disclosure: Amazon links on this site are my affiliates. The site receives a small percentage of any Amazon shopping that originates here, and I do appreciate it!